I don’t know what you serve for breakfast on a lazy Saturday morning. I serve a variety of things depending on my mood and motivation. On days I feel extremely lazy, muffins are always my best bet. They are so easy to mix, taste really nice and all children love them. I am yet to come across one who doesn’t like muffins. I am currently building a repertoire of muffin recipes, so brace yourself for many more muffin posts. I have made these muffins so many times I have lost count. Today I made them for afternoon tea. I ate them straight out of the oven. The whole house is currently filled with this delectable aroma. I wonder whether I’ll eat dinner tonight. It’s never such a good idea to have tea in the afternoon. It either spoils your appetite or adds inches to your already bulging waistline. This year, I had hoped I would shed four inches off my waistline, but my dear friends I’ve discovered that blogging and shedding off four inches don’t exactly go together. You have to taste what you cook right? and you have to ensure the recipe is fully tested by trying it several times, right? Perhaps I should resort to posting only healthy food? I love baking and I don’t see myself stopping soon, maybe I should recruit a group of taste testers? If you happen to live near me, and would like to be one of my taste testers, please contact me (myfavouritepastime(at)yahoo(dot)com). Otherwise I wish you all a happy week and I hope you enjoy the muffins, the way we did. And by the way what did you buy during Black Friday (a 70” TV?? I saw several people falling over TVs…it was quite amusing). Please always assemble ingredients before you start Preheat oven to 375°F (190°C). Line a 12-hole, medium, muffin tin (pan) with paper cases or brush with melted butter or oil or spray. I made six muffins with paper cases and six without. and stir in the sugar. 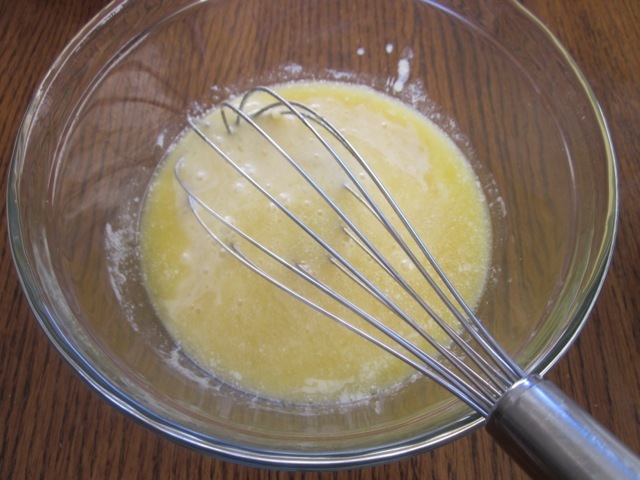 In another bowl, whisk together the two eggs, buttermilk, melted butter and vanilla essence (extract). and mix until just combined. 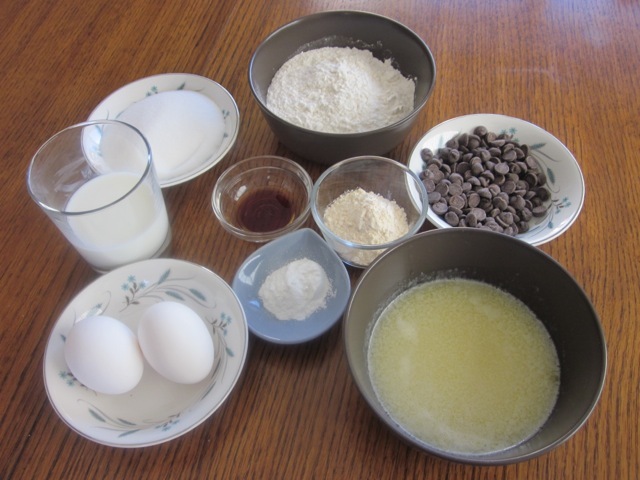 Fold in ½ cup chocolate chips. Spoon mixture evenly, into the prepared the muffin tin (pan). 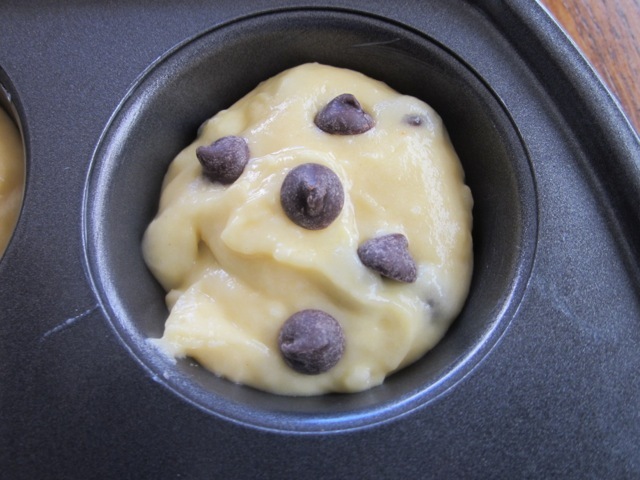 Top evenly with the remaining ¼ cup chocolate chips. and transfer onto a wire rack to cool. We make them at least once a week. I hope you’ll enjoy them too…. Preheat oven to 400°F (200°C) or (Convection 375°F (190°C). 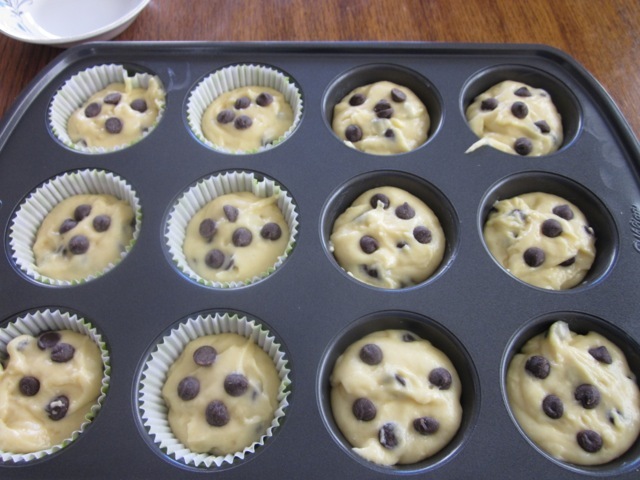 Line a 12-hole, medium, muffin tin (pan) with paper cases or brush with melted butter or oil or spray. I made six muffins with paper cases and six without. 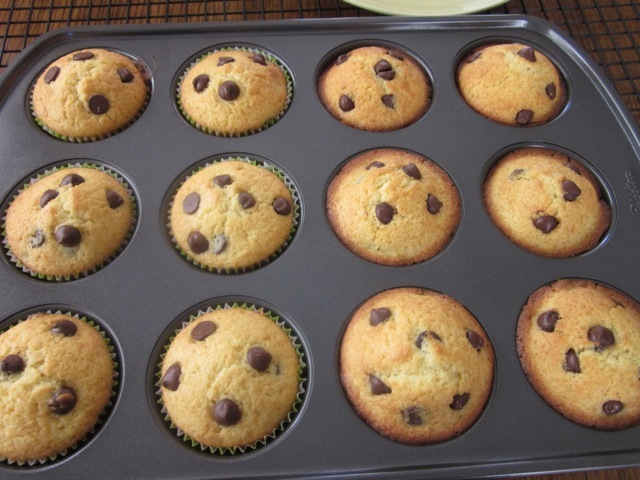 I love the way muffins brown on the outside. 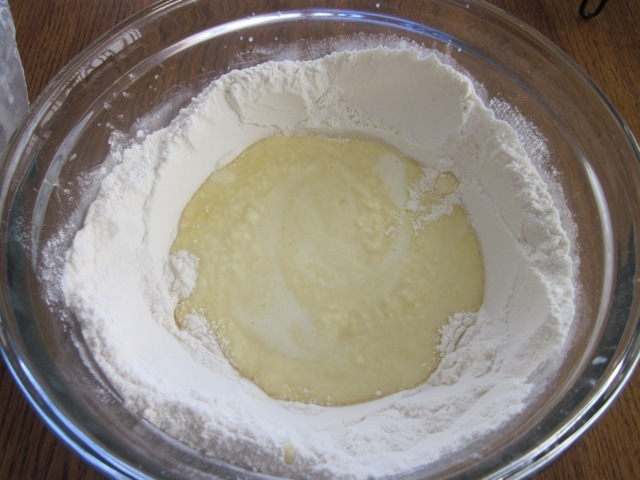 Sift the flour, custard powder and baking powder into a bowl and stir in the sugar. Make a well in the centre. 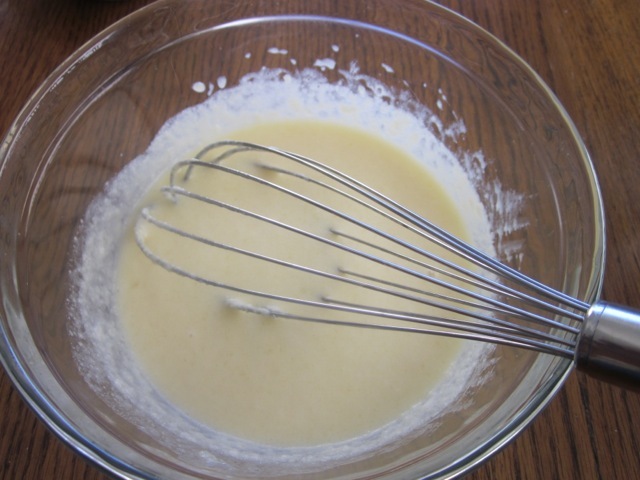 In another bowl, whisk together the two eggs, buttermilk, melted butter and vanilla essence (extract). Pour the liquid ingredients into the well and mix until just combined. 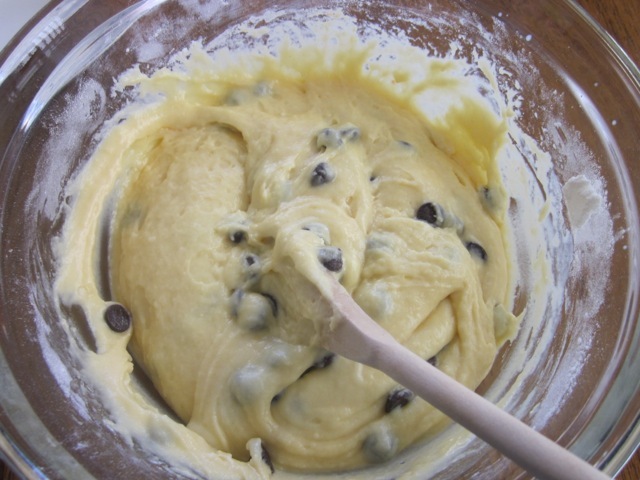 Fold in ½ cup chocolate chips. Spoon mixture evenly, into the prepared the muffin tin (pan). 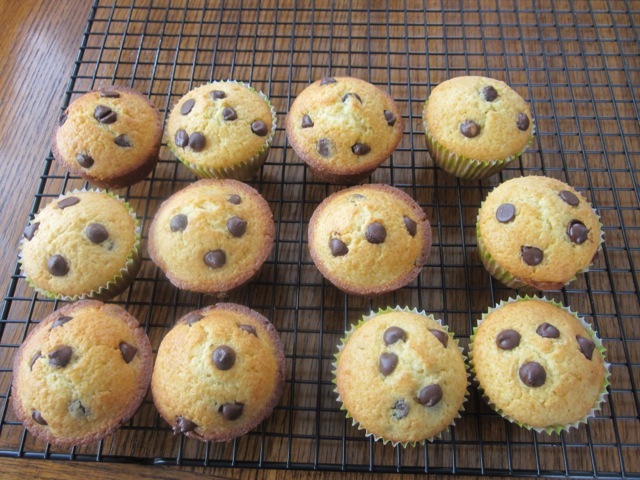 Top evenly with the remaining ¼ cup chocolate chips. Bake at 375°F (190°C) 15-25 minutes or until golden and a toothpick inserted in the centre comes out clean. Stand for 5 minutes, then loosen, carefully, with a flat bladed knife and transfer onto a wire rack to cool. 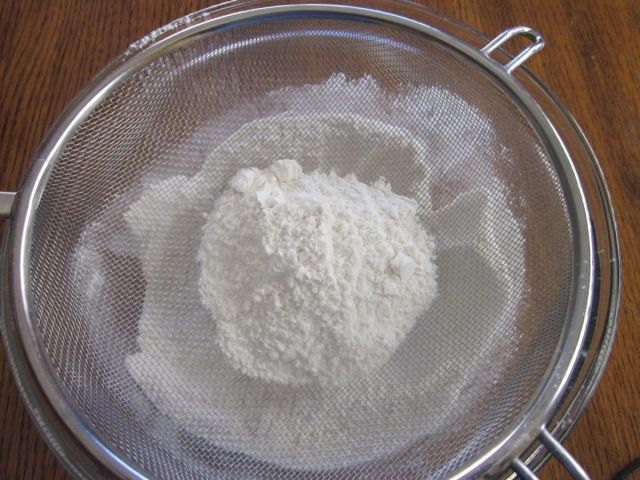 **I weigh the flour and butter, I do not use cup measures as the weight of a cup of flour tends to vary based on individual interpretation, size of cup or publication, (from 125g to 130g to 155g per cup). Cup measures based on assumption that 1 cup = 125g flour so that would be the US cup of 240ml, not the Australian Cup. Please note that oven temperatures are given as a guideline only. You may need to add or reduce the suggested temperature depending on your oven. I baked the muffins at 400°F (200°C) for 22 minutes. I baked half with paper cases and half without paper cases. I love muffins without paper cases, they always look so nice and golden brown and tasty. I just wanted to say that I couldn’t stop thinking about these muffins after I had seen them and finally gave in and made them last night. I subbed cocoa powder for the custard powder. They are absolutely delicious! Thanks so much for posting this lovely recipe! 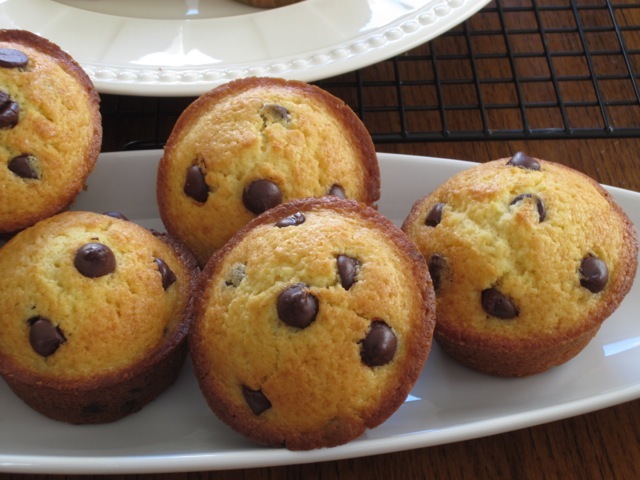 I’m so glad you made the muffins and even more happy that you loved them and subbed custard powder with cocoa powder. 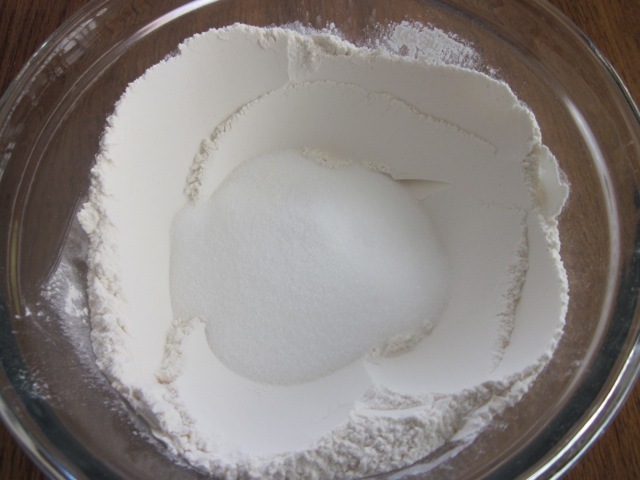 You can also use cornstarch. I shall also try making them with cocoa powder and see the effect. Thanks you so much. Have a lovely weekend and enjoy the year 2014. Long time. It’s nice to see again. The muffins taste good. Happy baking! Welcome back. It’s great to see you, as always! Best wishes! Thanks for visiting my blog, that allowed me to discover yours. I love your writing (so witty) and the photographs are beautiful. Agree with you about blogging interfering with shedding inches. In fact it interferes with most other things in my life, kind of an addiction really: cooking, eating, write about it, cooking, eating,…but so much fun! I will come back and visit, for sure! You have a very unique name. I wonder how it’s pronounced. Thank you for loving my blog. I love yours too. I just discovered you live in a boat…how interesting. Your life must be full of fun and fantasy. One day, maybe I shall try living in a boat like you. Blogging can be an addiction. I completely understand what you mean. My friend stopped blogging the other day. She says she wants to spend time with “real people” Please come back again and I wish you a fantastic week! I don’t believe you Ralph. I think you ate it pronto. Have a lovely day! These muffins look great. I will be your taste tester and make them this week or weekend! 🙂 I am with you – baking is SO fun and relaxing – and blogging about it leads to more baking! As for shedding the inches – this is quite difficult when one blogs and has kids to care for and a house to run – I feel you. 😉 Black Friday: First, I broke a bracket on my braces and bent some wires thanks to the turkey and the nut pie! So, my friend went with me to the orthodontist and we stopped at our favorite thrift store on the way home. 30% off the whole store! We got tons of books for munchkins, some clothes for the kids and hubbies and some props for blogging! 🙂 Do you have black Friday in Canada? I am jealous of both of you. I have yet to find a good thrift store here for props. That hasn’t stopped me though, I need more room for all my kitchen goodies! Ha Ha, we have at least four good stores here. My Ikea “Billy” is bulging with props. I am so glad I could finally store them properly. They were lying all over my basement (how annoying it was! ), I need more room for my pots too. We had great sales here and I bought so many pots. I wonder when I shall start cooking in them, Have a lovely day! XOXO to the boys!!! Pots I definitely don’t need. I have my full set of copper core All-Clad my husband got me a couple years ago for our copper anniversary. Dishes is another story. I have always had a thing for China and dish ware, it is even worse now! I gave away all my old pots. Time to restock. I need nice looking things for blog cooking. Great to know your hubby bought a full set of copper-core-all-clad. I think they’ll last many more years to come. I buy and buy and buy…I think I’ve gotta stop. Have a great day! It can be addictive! Like I said, I have always loved kitchen products and now my excuse is it will look good on the blog! Ha ha that’s exactly why I am buying and buying pots and pans and yet I haven’t used a single one to cook. How ironic. Have a wonderful weekend! I adore curls and carrots too. I can understand. Nobody wants to acquire so much stuff before moving. I usually recycle back items I don’t need to the same store. It’s a great way of using and giving it away for the next person. I have to buy another “IKEA Billy” before the end of the year LOL. Have a wonderful day. I’ve just seen your new post! I suppose your Christmas gift is easy. You need another Ikea Billy! Or two! Haha. I often donate items back to my favorite thrift store, such as props or clothes the kids have outgrown, and receive a 20% off coupon. 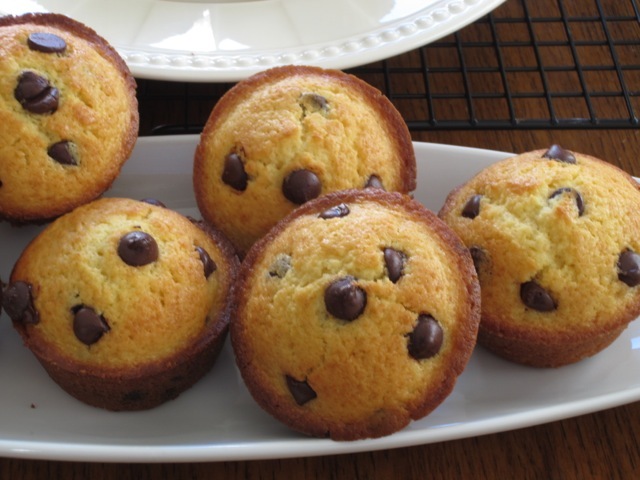 I am working on a post tonight that revolves around these decadent, delicious muffins. Take good care! You got it gal. I hope all my relatives will somehow read this message and then I might just get an Ikea surprise ha ha. A lot of people re-gifts their X-mas gifts because they didn’t want them in the first place. I am eagerly awaiting your post, as always. I can’t wait…take care too. I am wondering if you have a craigslist or online marketplace with re-used bookshelves? I looked up what you are seeking, and it is quite reasonable – and would be SO inexpensive if found “vintage.” What is your exact town/city? Yes, your family should encourage your blogging with a Billy. You have a true gift. Oh yes we have craigslist, Kijiji and many others I suppose. I live in Guelph, ON. I have just realized my Ikea cabinet is called BESTA.I shall check out Kijiji and see if I can find something. Thanks for suggesting. Are you not asleep? I am still trying to select photos…for the next post sigh…It was not my best of photo days. Take care! Good luck selecting your photos. I woke up to a lot of snow. The kids are excited – Mom, maybe a little less. wow..looks yummy, especially the brown sides…. I love those brown sides too. What a coincidence! Have a lovely week! Thank you. They tasted really nice. Ha ha you can taste them right off the screen. Thanks for volunteering. have a lovely week! Thanks so much for complimenting. I also crave chocolate, sometimes, I think too many times…LOL. I would love you to be my taste tester too, anytime. You’re welcome. Have a lovely week! Me too. Enjoy your week! 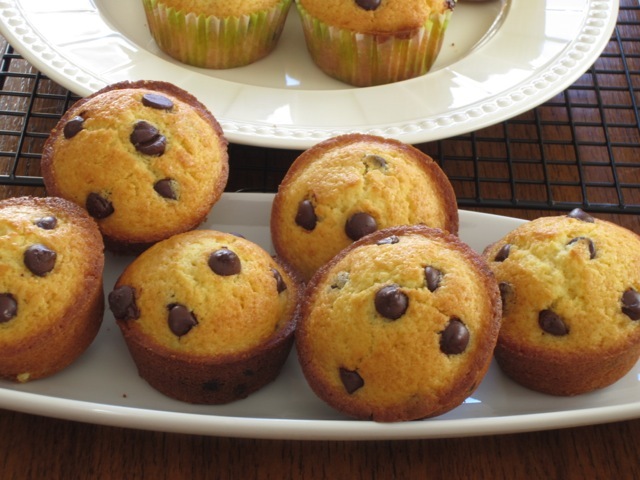 I love the sound of your delicious muffins on a lazy Saturday morning. We are too filled with anxiety and stress these days and it seems even the weekends get caught up in the craziness! 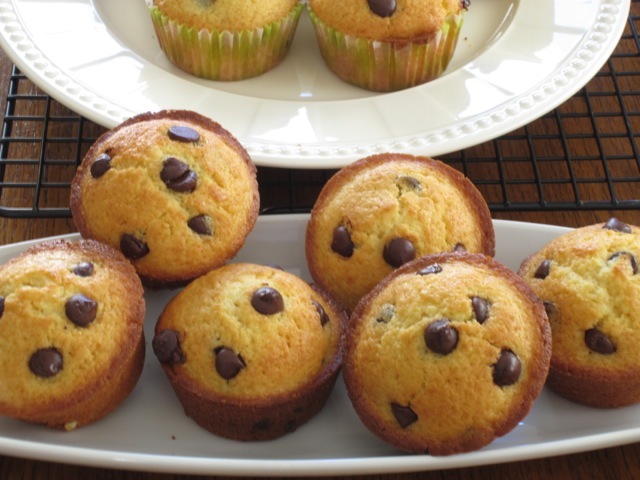 Wouldn’t it be a fun exercise to involve the family in making muffins on Saturday morning, then sitting around enjoying them with a glass of orange juice and a coffee? Sigh! I am going to get back to that! Soon. Thanks for the inspiration and also for the recipe! They look scrumptious Liz! I will look forward to more muffin recipes! I will not volunteer to be a taste tester, I’m trying to get rid of my muffin (top)! LOL Trouble is it is hanging on for dear life! Hope your week is starting out well. It’s always a great pleasure to read your messages. They are so motivating. Life sure does get so busy sometimes but imagine what it would be like if we were just idle. We would probably die of boredom. I love Saturday mornings. I always try to make a variety of goodies for Brunch then plan for a light dinner. Thank god someone invented muffins. They are great for lazy people like me. Have a wonderful week, Sandy. Worry not about your muffin top, mine are probably better risen than yours LOL. Best wishes! Perhaps because of where I live, muffins have never really been considered a breakfast food in my country. I do enjoy them regularly though. I’m reminded of the Seinfeld episode about the “top of the muffin” store. 🙂 Have a great day. You always make my day. I remember the episode about the “top of muffin store” it was hilarious. I have just watched it again, on you tube. Thanks for reminding me about it. Have a wonderful week! Thanks for spying, and liking them. Have a lovely week! Ha ha maybe I can send you some, electronically or maybe licking the screen is not such a bad idea. Have a lovely week! I do so love muffins! These look quite tasty. Our lazy Saturday breakfast go to is steel cut oats, healthy and we all love it. Muffins are a special treat. I try to bake when I have play dates so I have built in taste testers and don’t eat too much! It helps that I have three piggy boys to eat too! I would be your taste tester, but there is no way I could EVER live anywhere that cold! I love muffins especially when I’m feeling lazy. It’s good to know you have willing taste testers. They are the best because they’ll always give genuine feedback. Older people tend to have bias based on their long-developed-tastes. By Canadian standards our corner here is far much better. Not too extreme. I wish you a fabulous week and I hope the dog will be feeling better, soon. Best wishes! Yum:). 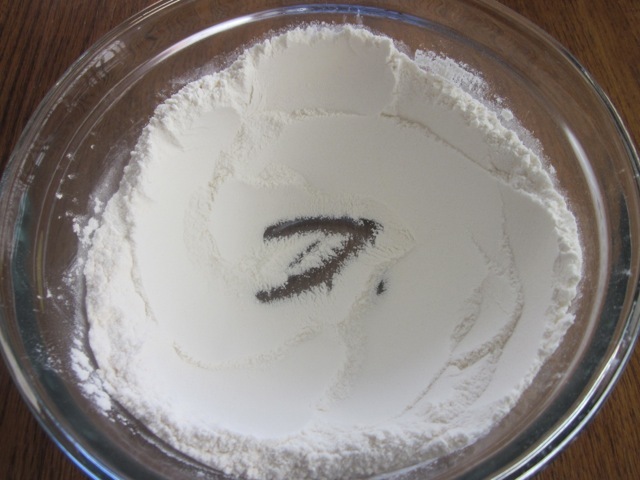 Can I skip or sub the vanilla powder with something else? These look soft and gorgeous! 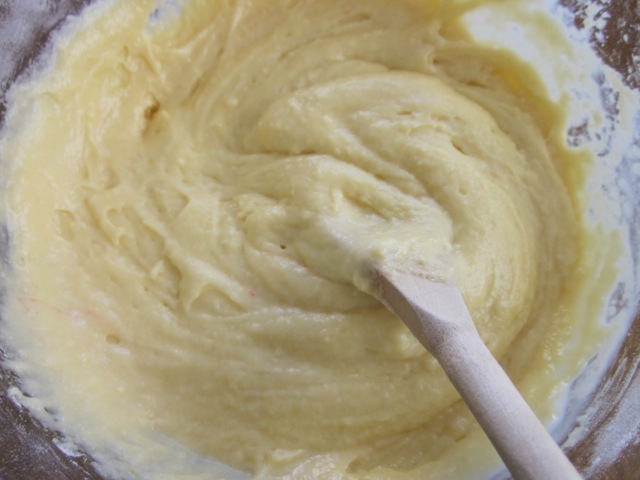 Yes you can sub the vanilla powder with corn starch, Happy baking and enjoy the rest of the week! Ooh, mann! Too bad for me too 😦 I love muffins and I think that I’ll have to try baking these on my own since they include chocolate!! Happy baking and hope you “enjoy” them. Have a fabulous week! I love muffins! These came out looking so pretty and pristine. And boy, I wish I lived close enough to be your very willing and eager taster. Hi thanks for the kind words. If ever you’re in Ontario, please come and give taste testing a go. Enjoy the rest of the week. How I would love to come and laze around your kitchen on a Saturday morning. One day you know, I shall be there.The world is just one round global village. I wish you a fantastic week! best wishes! Waving arm wildly . . . “Taste tester, here” !!!!! Ha ha, Be by the mailbox. I shall deliver some. I have missed you. You are so quiet! Been busy with doctors’ appointments, chemo, and radiation for DH. He’s doing better. Will put up another post soon. I totally understand after reading your post. I truly admire both of you you. You two have great strength and determination. My thoughts and prayers are with you! Thanks so much for being here despite all you’re going through. I have learnt a lot from you today. Best wishes! Oh how I wish I lived close– I would be a taste tester for sure! Haha you’d have made the best taste tester ever. Thanks. maybe one day we’ll be neighbours, who knows? The world is one big round accessible globe. Have a fabulous week!